This is so cool. 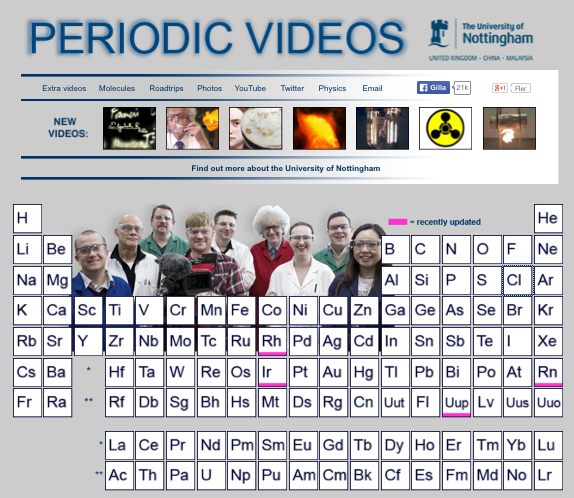 A periodic table of chemical elements (appr 180) with an illustrative video around each element. This wonderful work has been realized by The University of Nottingham. If you haven’t discovered TED yet, now’s the time. A place with more than 1,000 lectures on technology, entertainment, design, business, environment, science etc. 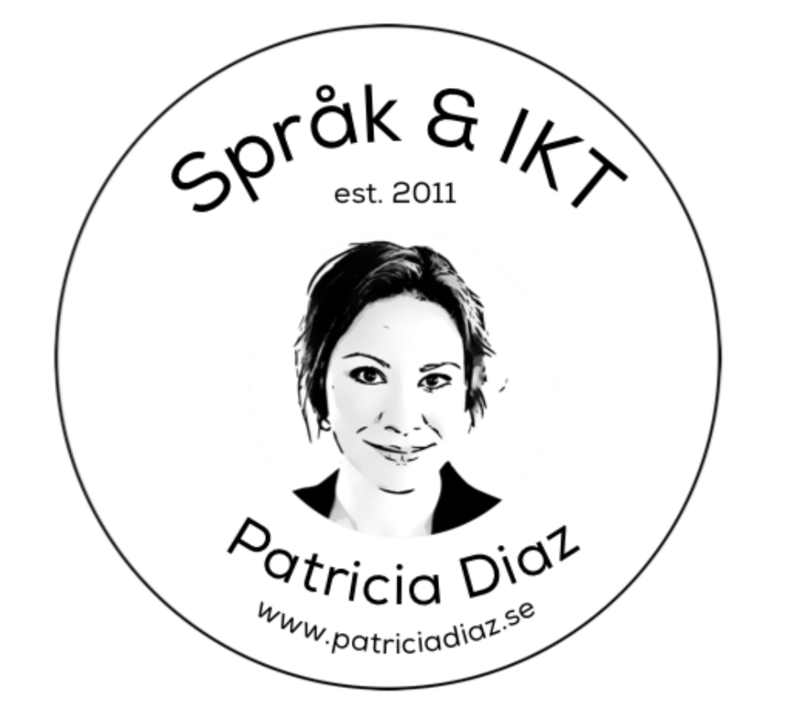 Pay a visit to The Swedish Lad and listen to what Martin has to say about the Swedish language in English. Are you interested in university lectures? At Academic Earth you have access to a great amount of lecturers from Harvard, Stanford, Yale, MIT and Princeton (just to name a few) talking about subjects such as Literature, Biology, Computer Science, Entrepreneurship, Environmental Studies, History, Philosophy, etc. Listen to some of the most famous speeches in history on History.com – presidential speeches, space exploration speeches, civil rights speeches and more. Have a look at Ernest Hemingway’s classic novel ”The Old Man and the Sea” in this animated video. There are even more animated classic literature – check out 18 animations of classic literary work right here. Also, here are 125 Great Science Videos, from Openculture. And while you’re at it – listen to one of Barack Obama’s annual ”Back to School” speech. This is the history of English – in ten minutes! Listen to what Salman Khan has to say about how we can use video to reinvent education. Snag Learning offers educational videos about subjects as arts and music, history, math and science, politics, etc for all ages. Watch this very interesting clip about the ”History of the Internet” (by Melih Bilgil). TED – reviting talks by remarkable people, free to the world. There are over 900 talks on TED, most of them are even subtitled in English – in other words; an excellent occasion to improve. For example, have a look at Jay Walker talking about the world’s English mania. Or listen to spoken word artist and teacher Sarah Kay giving an inspirational speech about the fine art of speaking. Or listen to Mena Trott, the founding mother of the blog revolution when she talks about the early days of blogging and how she realized that giving regular people the power to share our lives online is the key to building a friendlier, more connected world. Let’s continue with the category famous speeches – start off with Martin Luther King’s ”I Have a Dream”. Continue with Barack Obama’s ”Yes We Can”. Let’s continue with the celebs, listen to Oprah Winfrey doing an interview with the mother of Harry Potter – J.K Rowling, the only billionaire author in the world. CNN – watch the latest news in CNN’s video section. National Geographic – a place to watch videos about almost everything in the world. Choose your area of interest and enjoy. Discovery Channel – Science, History, Space, Tech, Sharks, News and more. Eurosport – Follow the latest sports news, live-scores and results. MTV.com – Music, shows, news, movies and more. Animal Planet – Pets, wild animals, dog breeds, cat breeds and more.